The candle-lit church, its gardens and reception hall are a wonderful and timeless place to hold your wedding. Please visit sfwedding.org for more information! Open to people of all backgrounds, the wedding program is non-denominational. We welcome same-gender couples and non-religious ceremonies. Guest officiants are welcome upon approval. 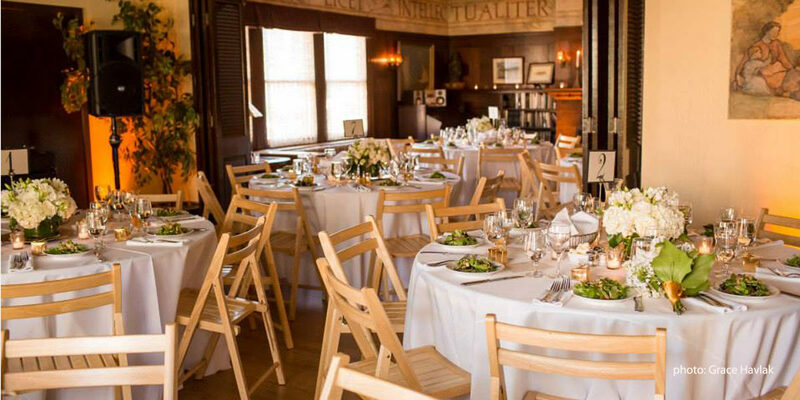 By celebrating your marriage at this National Historic Landmark, you weave yourself into the fabric of San Francisco’s vibrant history. We have a dedicated website filled with photos and information about holding your wedding here. Please visit www.sfwedding.org to learn more about our unique ‘garden church’ nestled into the hillside of Pacific Heights and the Presidio. A one-of-a-kind, flexible space for public or private events. ​Our sanctuary is also ​​available to rent for other events, such as for yoga classes, meditation sessions, lectures, and concerts. The Parish House can be rented out for birthday parties, corporate meetings or off site retreats, engagement parties, and non-profit events. Full kitchen included. Two outdoor spaces are also included in the rental of the venue. Celebrate your baptism at San Francisco’s renowned Swedenborgian Church. The introduction and reception of the child into the Lord’s Church on earth. The wiliness and commitment of parents to nurture and provide for the child in the way that pleases the Lord. And the willing invitation for influence and protection from heavenly beings upon the child’s spirit. Being conscious of these meanings, the Swedenborgian Church does not baptize a child into this denomination, but into the Lord’s Church in a broad, ecumenical concept. Honor your loved one with a memorial service in a unique sanctuary with a loving theology. At the Swedenborgian Church we believe that nobody dies alone. Each of us, no matter the circumstance, leaves behind family, friends, partners, neighbors, coworkers, and acquaintances. When it comes time for us to honor those who have passed into another life, a memorial service is a peaceful, loving way to gather, share rememberances, and say goodbye. Celebrating one’s life is special in the Swedenborgian community as we choose to emphasize the continuing life of a person’s spirit over the finality of death. However, so long as our spirit and physical bodies are inseparable, dying remains a part of our life. For more information or to schedule a Service, please email events@sfswedenborgian.org or call (415) 346-6468.